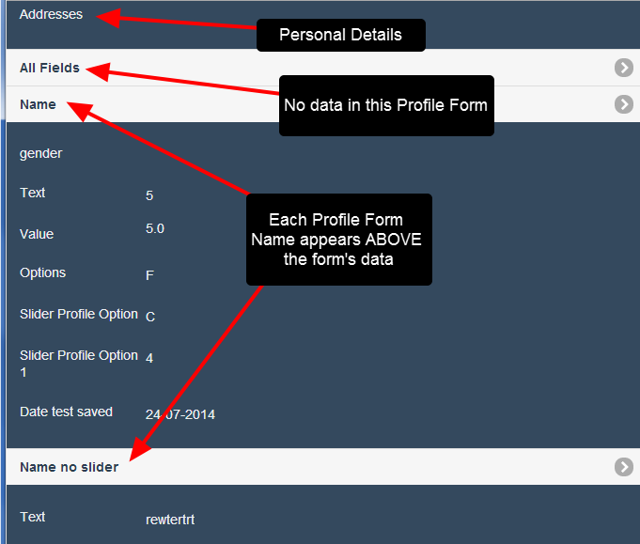 The Profile Form Name appears above any data which has been saved for that Profile Form. To open a Profile Form, click on the name of the Profile Form. Once any changes have been made, click on Save. Click Cancel to cancel saving the changes. 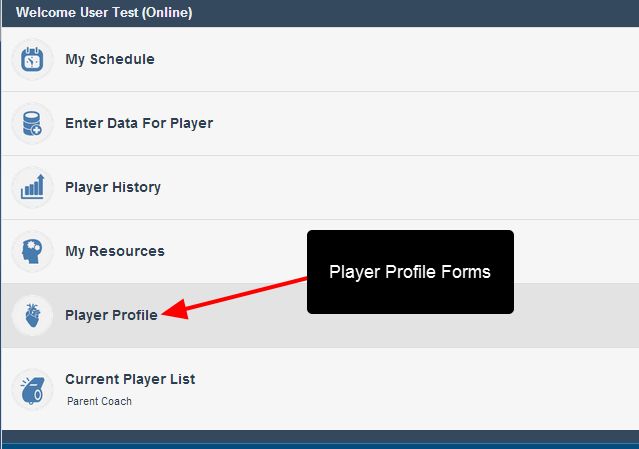 Keep in mind that Profile Forms can have multiple sections that need to be scrolled through. Any relevant fields are shown. 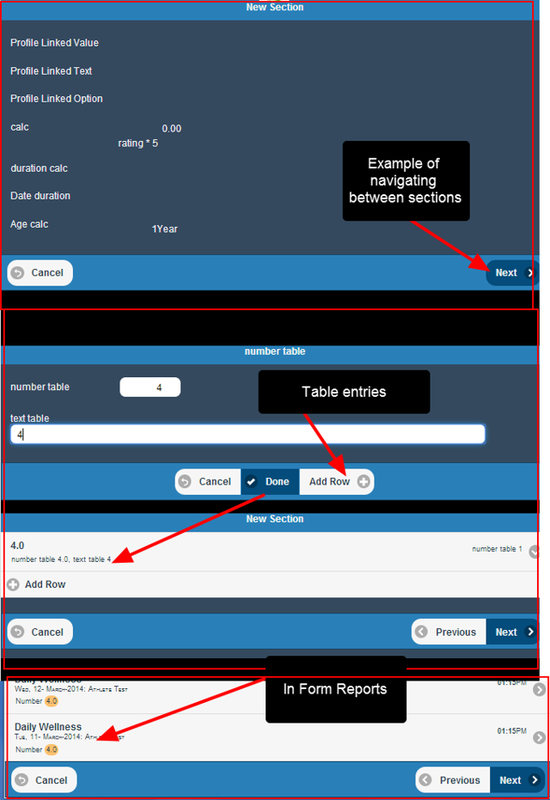 Any forms with multiple sections, tables, inform reports etc will require the same entry process as Event Forms. Enter in the relevant data and save and close the form. 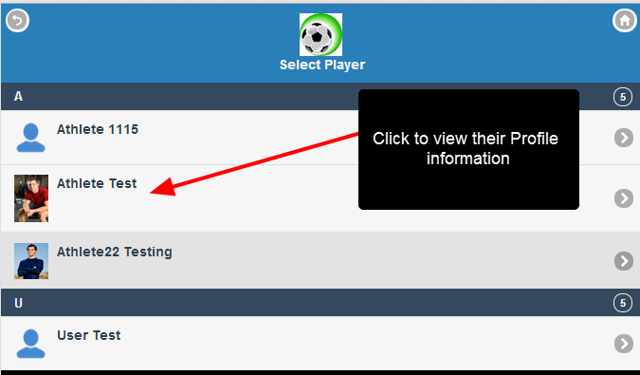 Any changes to Profile Data entered on the mobile application will be automatically be synchronised with the main application, and vice versa. 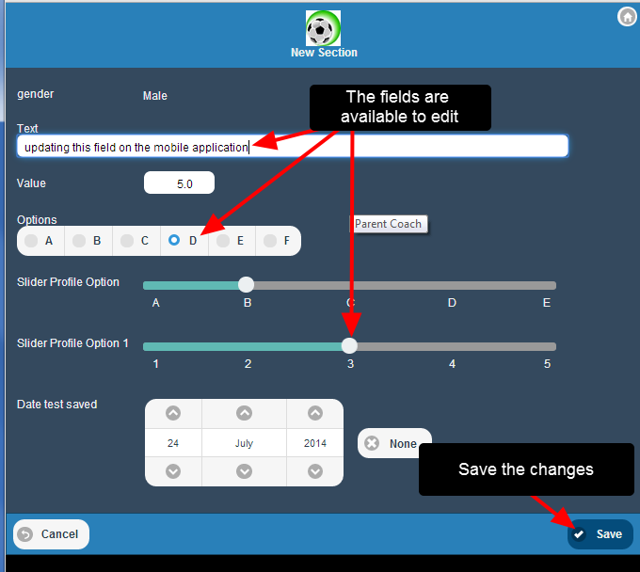 Keep in mind that you may have access to less Profile Forms on the mobile application than on the main application. 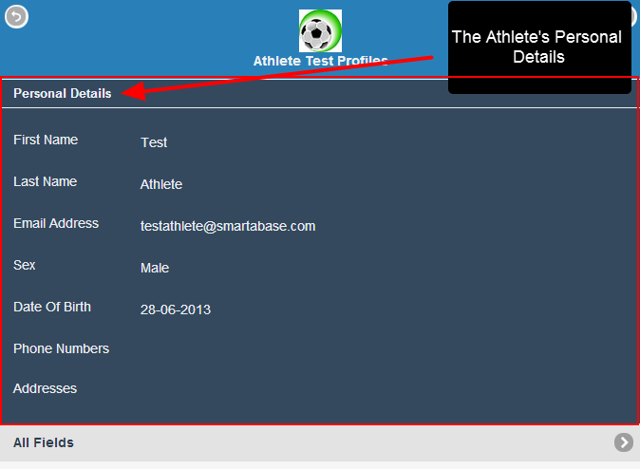 Each Profile form has to be set up specially to allow access via the Mobile and iOS applications. 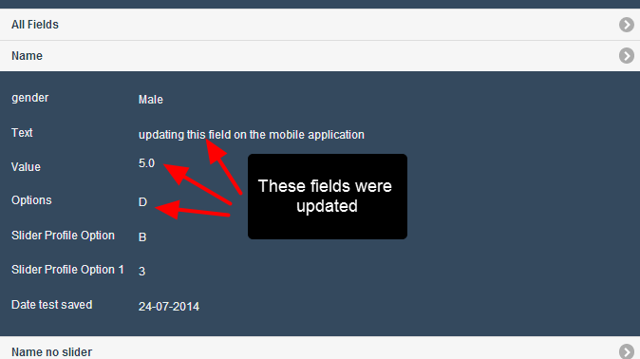 If this is not set up, the Profile Forms will not be available on the mobile app to view and enter data for. 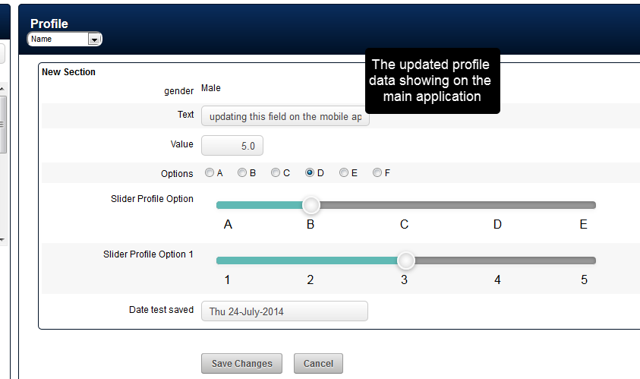 Talk to your system builder if you need a profile form to be accessible on your mobile application.